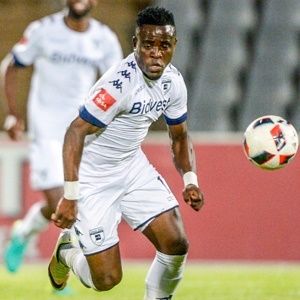 Cape Town - Bidvest Wits coach Gavin Hunt is hoping that the return from suspension of Gabadinho Mhango will increase his side's chances of winning the Telkom Knockout. The Clever Boys have been struggling in the league and sit bottom of the Absa Premiership standings after a third of the season. But they have been flying high in the Telkom Knockout and are set to face Bloemfontein Celtic in the final at the Princess Magogo Stadium on Saturday evening. And their chances of victory have been boosted by the return of Mhango, who has missed the last six matches through suspension after he was found guilty of spitting at AmaZulu player Michael Morton on September 20. Even though Mhango has not been amongst the goals this season, Hunt is confident he'll be a significant addition to the strike-force. "You know‚ we need a guy like that. He gives us pace‚ he gives us an outlet‚" Hunt said. "Listen‚ he's not in the greatest goal-scoring form‚ is he? He hasn't scored since the second round least year in the league‚ when we won the league. "But he's a guy who's different to what we've got‚ and that's important. We haven't had that. We're very static and the movement hasn't been good. "I mean‚ for the last few games‚ if we'd had him‚ possibly we would have got something from him. "Now we've got him back. With the period of time he's been out it's a gamble. But we need him."